It’s the last week in September and that can only mean one thing. Fibreworks is off to Geelong for the annual Geelong Fibre Forum. Held each year at Geelong Grammar School, the Forum is a melting pot of fibre arts and crafts, with workshops in machine embroidery, contemporary applique, wild knitting, felting, design, ikat weaving, paper- and book-making, jewelry and more on offer. 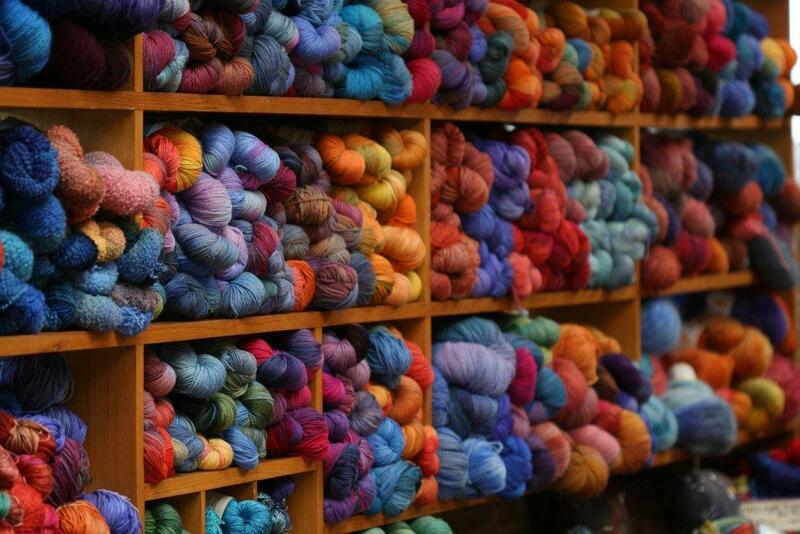 Fibreworks will be selling our wares, including yarns, silk, tops for felting and threads for embroidery every day from 25 September to 1 October for Forum participants. We’ll also have silk worms for sale. Even if you’re not attending, you can come and visit us and see what the Forum participants have been up to at the “Heathen Bazaar” at the Saturday morning Open House. Details on how to get to Geelong Grammar are on the school’s website (the Forum will be at the Corio Campus). Come and see us at the Australia Sheep and Wool Show in Bengido. It’s on from Friday 15 to Sunday 17 July at the Bendigo Showgrounds. As well as Fibreworks, there’ll be lots of wool crafts, wearable art and wool fashion on display. You can also see wool in its natural form (i.e. on the back of a sheep), shearing and sheepdog trials, watch cooking demonstrations and sample Australia’s best lamb. We’re heading north again, this time to the Textile Art Festival in Brisbane over the Queen’s Birthday long weekend (11-13 June). The Festival will be held at the Brisbane Exhibition Centre, Southbank, from 9am to 5pm each day. You can find us at Stand 20. As well as buying direct from textile artists and suppliers of fabrics, fibres, yarns and dyes, you can do classes and workshops on felting, collage, sashiko, fabric painting and dyeing, fabric embellishment, sewing and much more. There will also be displays of wearable art, quilting, creative knitting, and working textile artists showcasing the latest techniques in the textile arts. For more information, see the Festival’s website: http://www.textileart.com.au/. You can even find a photo of Fibreworks’ wool on their home page. As usual this time of year, Fibreworks is heading north for the special Wool Celebration day at the Old Bus Depot Markets in Canberra on Sunday 15 May. As well as finding a full range of Fibreworks products, there’ll be lots of knitwear, felting and other wool-based crafts. The markets also have a great food – fresh local produce, cheeses, pastries, preserves, chocolate, coffee and heaps of multicultural meal options. The Markets are held from 10am to 4pm on the Kingston Foreshore on the edge of Lake Burley Griffin. There’s free parking off Mundaring Avenue. Look for the signs from Wentworth Avenue, Kingston. Some photos below of some happy customers from our trip to Orange in March. We’ve had a busy week preparing for our next show. For the next week (Sunday 10 – Saturday 16 April), you can find Fibreworks at the Orange Textile Forum. The Forum takes place at the Wolaroi School, 59 Bathurst Road, Orange. We’ll be trading daily from 9am to 5pm Sunday to Friday, then from 9am to 12noon on Saturday 16 April there will be an Open House with exhibits from all the classes done at the Forum. Join us at Wartook Studio Gallery for an exhibition inspired by Vincent Van Gogh’s “Starry Night”. 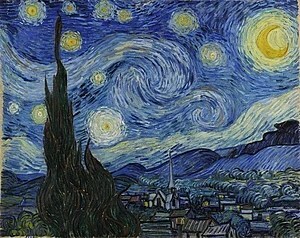 Painted in 1889, Van Gogh was inspired by the view at night from his window in an asylum in southern France. The exhibition is part of the Art is… under our sky festival, running in Horsham from 1-9 April 2011. Local artists give their interpretation of Van Gogh’s haunting work and of the festival theme “Under our sky”. We’re particularly excited to have Indigenous artists from the Wimmera region and Mount Gambier participating in the exhibition. The exhibition will be opened by Carolynne Hamdorf, a former co-ordinator at the Warmun Art Centre in Western Australia on Sunday 3 April at 11am. Wartook Studio Gallery will be open daily during April from 10am to 5pm. Call 03 5383 6243 for more details.